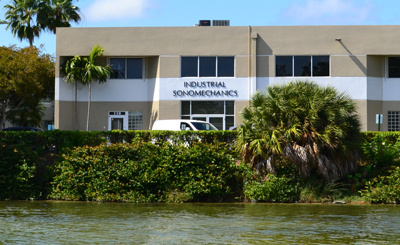 Several unique features of ISM’s patented Barbell HornTM Ultrasonic Technology make it possible to directly transfer laboratory-optimized processes to industrial production, always guaranteeing reproducible post-scale-up results. Our ultrasonic liquid processors can output extremely high amplitudes (over 100 microns) at any scale. Liquids exposed to high-intensity ultrasound undergo ultrasonic cavitation. It can be seen as a cloud of bubbles forming in the vicinity of an ultrasonic horn and heard as an intense hissing noise. Cavitation produces violently and asymmetrically imploding vacuum bubbles, causing micro-jets with extremely strong mechanical shear forces. These forces are responsible for the well-known ability of ultrasound to drive a multitude of physical and chemical processes forward. Ultrasonic amplitudes of at least 70 microns are commonly necessary to take full advantage of ultrasonic cavitation. At low amplitudes (below ~50 microns), the intensity of cavitation is insufficient for most processes, including the production of nanoparticles (e.g., nanoemulsions, liposomes, nanocrystals), extraction, cell disruption, deagglomeration, etc. To amplify the amplitudes and deliver the cavitation energy to liquids, ultrasonic processors incorporate high-gain acoustic horns (a.k.a. sonotrodes, waveguide radiators, resonators, probes). Conventional ultrasonic systems utilize acoustic horns that converge in the output direction. These conventional horns (CH) can only provide high ultrasonic amplitudes when their output tip diameters are small (typically under 15 mm). Conventional horns are appropriate for laboratory studies, but cannot be used for commercial production since their tip diameters are too small. Process scale-up requires switching to horns with large output tip diameters, able to work with production-size liquid volumes. To achieve reproducible results, it is essential to ensure than high ultrasonic amplitudes can still be maintained at the laboratory-optimized levels after the scale-up. Barbell HornsTM, developed by ISM, are able to amplify ultrasonic amplitudes while retaining large output tip diameters. This opens up the possibility to directly scale up any high-amplitude ultrasonic process. 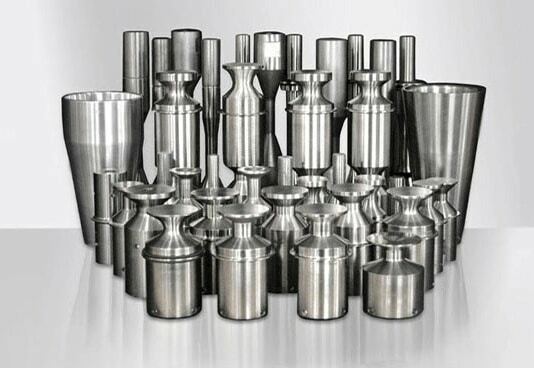 Barbell HornsTM utilized in our industrial processor, ISP-3000, commonly have output tip diameters of 45 – 50 mm (up to 70 mm in some cases) and produce extremely high ultrasonic amplitudes on the order of 100 microns. Our bench-scale processor, BSP-1200, utilizes Barbell HornsTM with output tip diameters of 32 – 35 mm, which are also able to output ultrasonic amplitudes on the order of 100 microns. 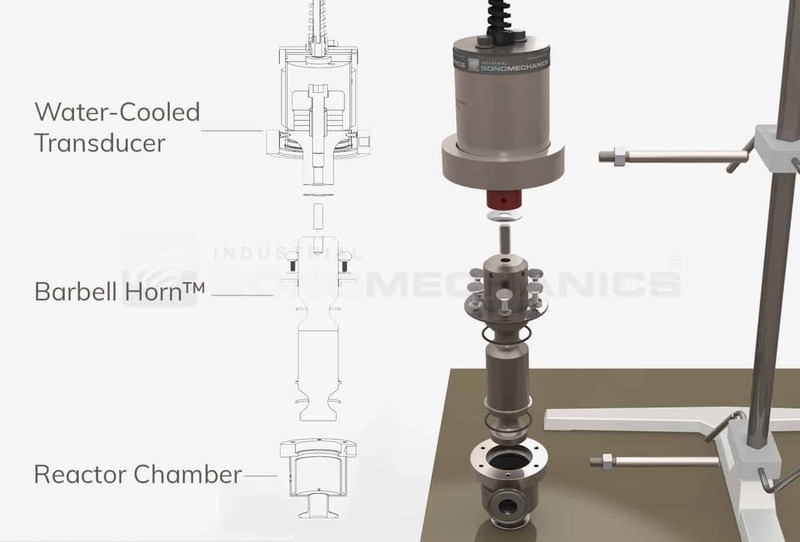 Barbell horns make it possible to directly reproduce any laboratory or bench-scale process optimization study in a commercial production environment. Barbell HornsTM are available in different shapes and sizes. Besides Full-wave Barbell HornsTM (FBH) shown on this page, Half-wave Barbell HornsTM (HBH) and Half-wave Barbell HornsTM with an Opening (HBHO) are available. are shorter and lighter than FBH, but have approximately double the radiating area for the same output tip diameter. are designed to work with ISM’s reactor chambers (flow cells) in a way that directs all processed liquid through high-intensity cavitation zones, practically eliminating any possibility of bypass.